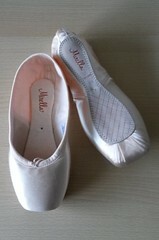 Many beginning ballet students may suddenly find themselves obsessed with obtaining a high, well developed arch. For some, doing arch enhancing exercises can make a difference. For others, no amount of arch enhancing exercises will change the basic structure of the foot. 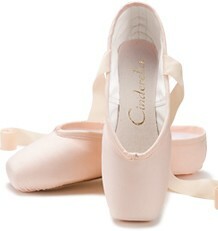 Unlike the higher arched dancer, those with low arches have feet that are less flexible. On the plus side, lower arched feet are stronger. For a beginner with undeveloped feet, having low arches will make it more difficult to rise fully on pointe in the proper position. 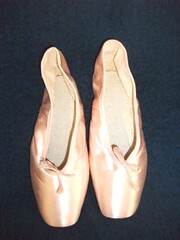 The weaker foot will also have difficulty breaking in new pointe shoes and will have to work harder at softening the shanks of her shoes. 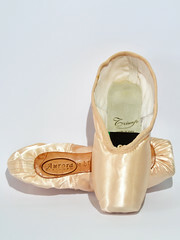 After gaining strength, the biggest challenge for a dancer with low arches is finding a pointe shoe that will maximize whatever arch she does have. 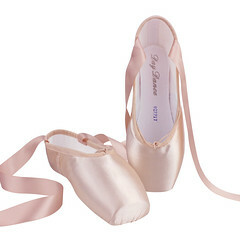 Pointe shoes that are pre-arched are ideal for the lower arched dancer. 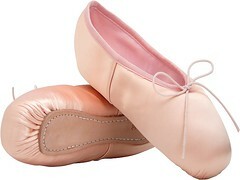 Experienced dancers can also find a flattering fit with split-sole pointe shoes. 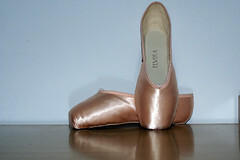 This entry was posted in Ballet, Pointe Shoe Tips and tagged Pointe Shoe Tips, pointe shoes for low arches. Bookmark the permalink.